It is officially fall now. Finally. I am so happy summer has passed and winter is coming. 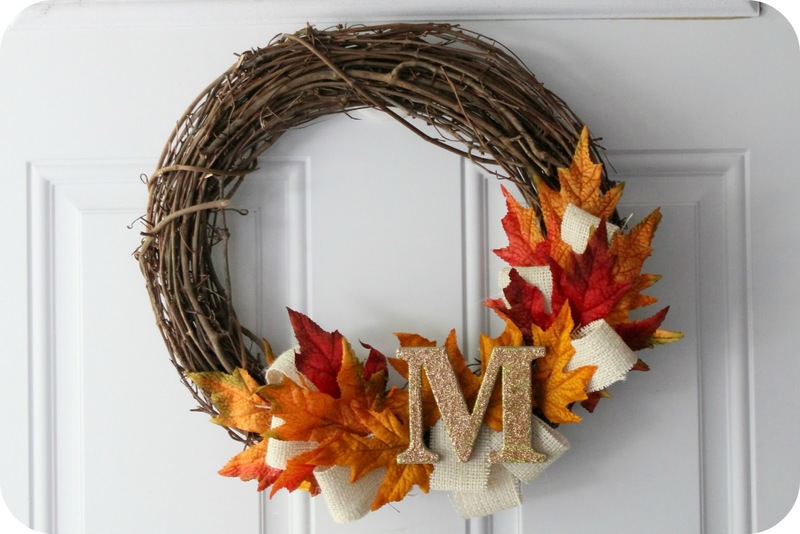 To celebrate, I made a fall wreath to hang on our front door. I love the combo of leaves, burlap, and glitter. An odd combination really, but it works. Here's a little rundown on how to make one of your own. 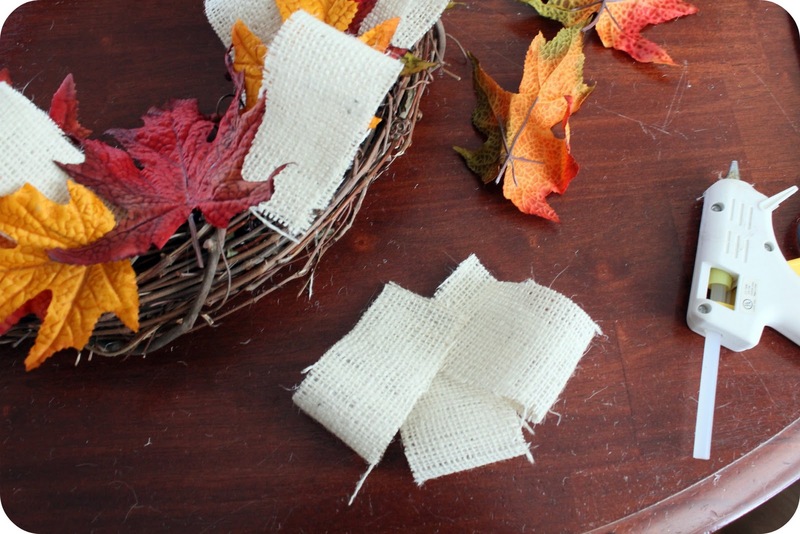 Start by making your burlap strips into loops by hot gluing the ends together. Start layering your pieces on, starting from the outside and working in. Once you get to the middle, make a little background for the monogram to sit on. I did this by gluing three burlap loops together and placing the monogram on top. That's it. It was easy, cheap, and quick to make. I made one for me and one for my sister (which is why you see an "M" and a "B"). 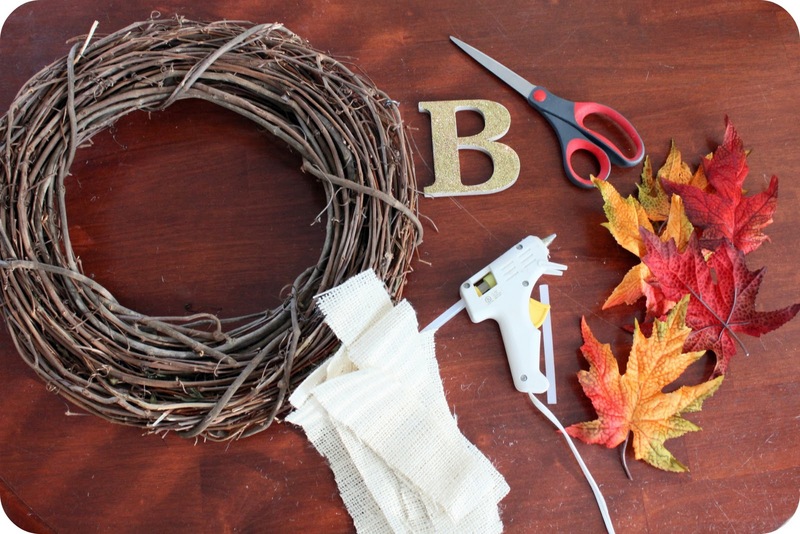 Is it too early to be thinking about Christmas wreaths? Yes? Yes. Ok. I'd be so excited if you would link this to my door decor challenge! So pretty! I love the tough of burlap! Okay...I have an empty wreath sitting around waiting for me to decorate it...but I haven't yet! Thanks for the inspiration! This is SO pretty! I love the glittery monogram! Allison, I just saw your post on Show Me What Ya Got. LOVE the monogram wreath!! Such a cute idea! I am a newbie to blogging and your newest follower. I hope you will follow back! Many blessings to you! That's adorable! I really love it . 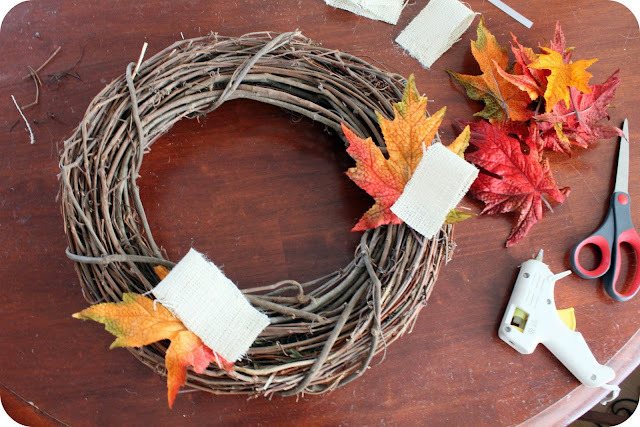 . . sometimes wreaths go a little overboard, for me, but this is so perfect--cute, seasonal, personal, but still simple and pretty. Love it! Oh, I love it! 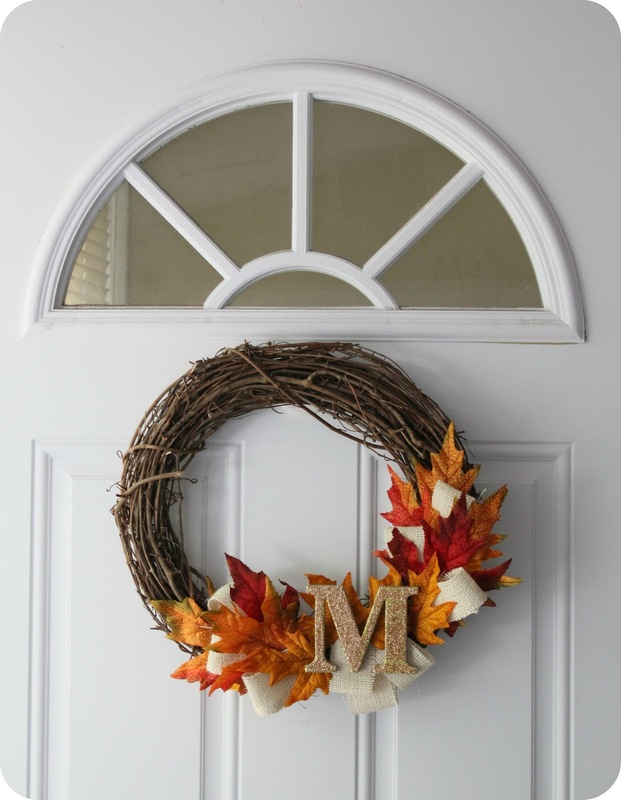 I've been looking for some inspiration for my front door Fall wreath...think I found it! Very nice! I pinned this one and will have to give it a try. great tutorial! What a beautiful way to welcome guests this Autumn! This wreath is beautiful....and I'm really picky about wreaths!!! I LOVE your wreaths! The glittery monogram is such a fun little touch. Just beautiful! This is very cute! I featured it on my blog today as part of my Friday Favorites. Come over and check it out :) Happy Friday to you. 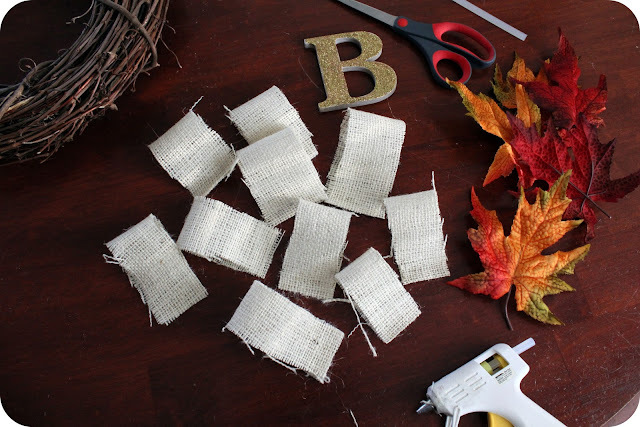 Lovelovelove it - made one and linked your tutorial to my blog! Thanks for the inspiration! Keep it up! Us uncreative folk need your help! 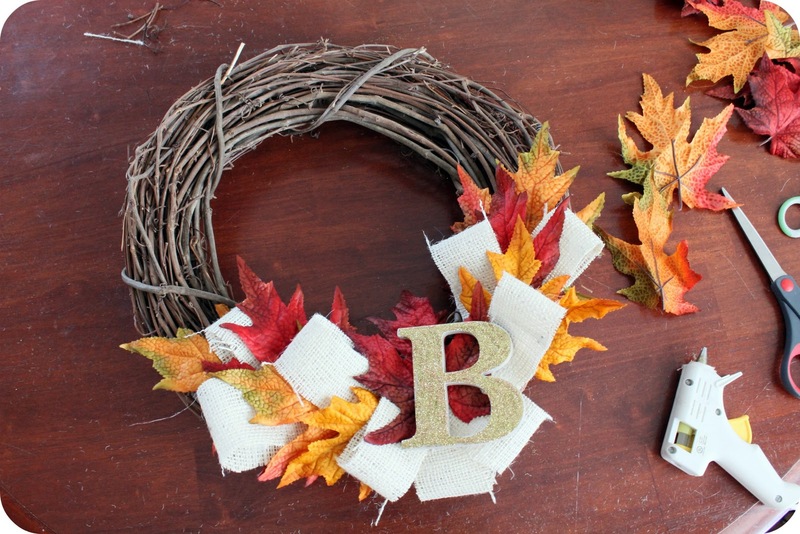 I love the contrast of the grapevine wreath, burlap and glittered letter! And I'm definitely in on any project that involves a monogram! Great wreath! 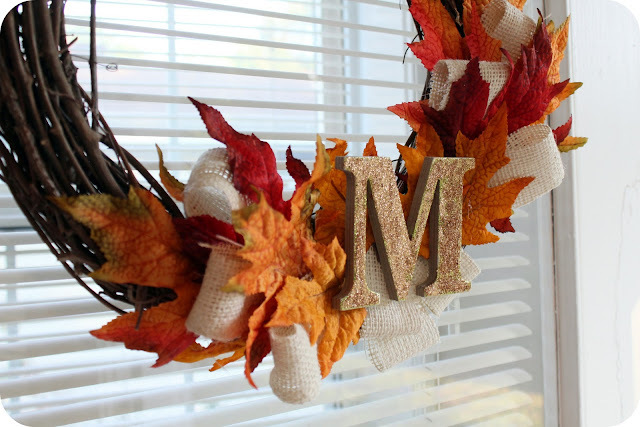 I'd love if you would link up to our Fall Wreath Craft Party this month! 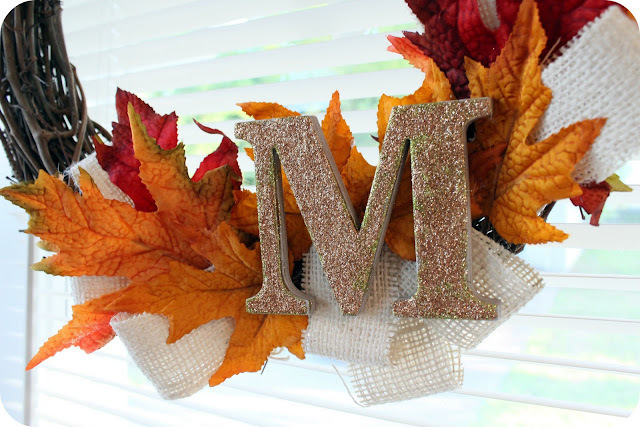 I'm new to projects...what kind of glitter did you use for the letter? I went to Michael's today and was very lost. Allison, this is cute and I have everything to make it, except for the C which I can pick up at Wally World. Hooray! 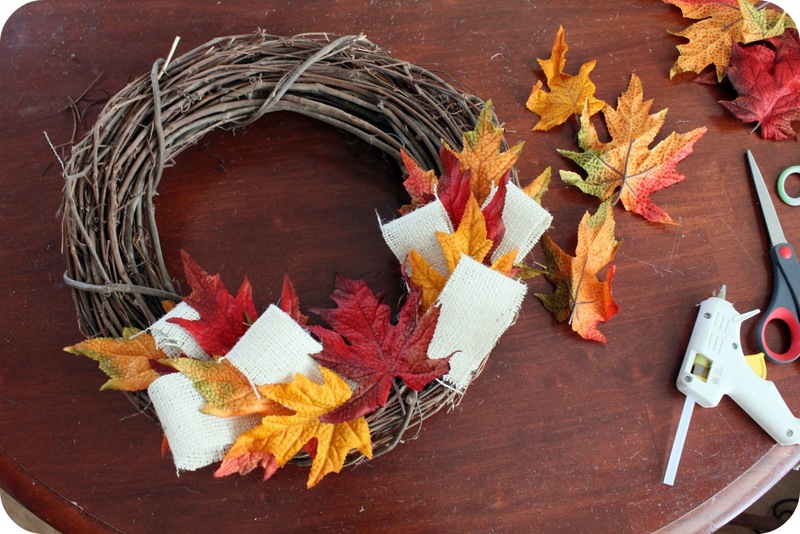 Planning on changing out my Halloween wreath Tuesday and making one as pretty as yours! 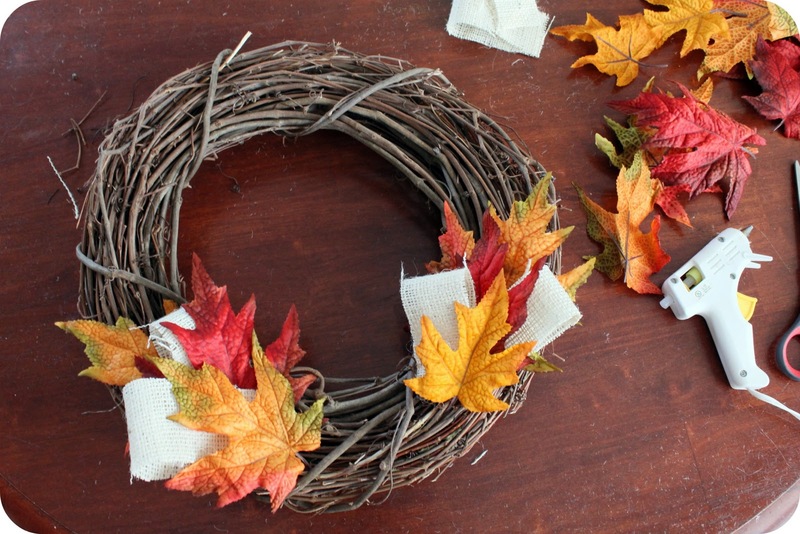 Love the simplicity of your wreath. very pretty. Ooh!! I love this!!! The wreath I linked up at CSI is a M wreath too! ;) Love the look of the different elements! Very eye catching! Very cute! I made a wreath that looks very similar. I think I like yours better or course! I saw someone pin this and I had to check it out. So pretty! The burlap loops are great because I am horrible at making bows. Totally doing this soon! this is so lovely! I am officially inspired to bust out the glue gun... Thank you!